Jon Osmond – New PADI Divemaster! 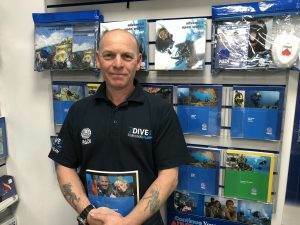 Congratulations to Jon Osmond for successfully completing his PADI Divemaster Course with 2DiVE4 this week. During his PADI Divemaster internship Jon showed great understanding of the Divemaster role and was a keen and will participant, thinking on his feet to resolve any novel problems that may have occurred.